China and Sri Lanka could sign a free trade agreement by the end of the year, state news agency Xinhua cited Sri Lanka’s foreign minister as saying. 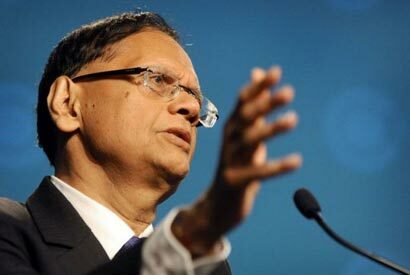 Sri Lankan Foreign Minister G.L. Peiris who is on a four-day visit to China, said “the feasibility study is on the verge of completion”. Peiris told Xinhua in an interview on Wednesday it would be the most significant bilateral achievement since the 1952 Rubber-Rice Pact, when rubber and rice was bartered between China and Sri Lanka. China has increasingly tight ties with Sri Lanka, funding airports, roads, railways and ports. Those ties have unsettled India, traditionally Sri Lanka’s closest economic partner. The island of 21 million people just off India’s southern tip is at the forefront of competition between Asian giants China and India. China has consistently defended Sri Lanka’s rights record, which came under fire at a Commonwealth summit in November, saying Colombo had made big strides in promoting human rights and achieving national reconciliation over the years. On Tuesday, China’s Foreign Minister offered support for Sri Lanka after the United States said it would table a U.N. resolution against Colombo over its human rights record, Reuters reports. The Hon External Affairs Minister, G L Pieris, is on fire. He is traveling wide and has had a significant breakthrough in China. In addition to China, Hon Minister has achieved open support for Sri Lanka from HE Vladimir Putin of Russia. Hon GLP has exceeded achievements of Rajan Kadirgaman of the Chandrika Government. He is indeed a trailblazer par excellence who is well on his way to singlehandedly achieve that majority we need to defeat the imperialist initiative in the UNHRC to suspend us from the UN, impose sanctions and freeze overseas assets of the Rajapaksa family.